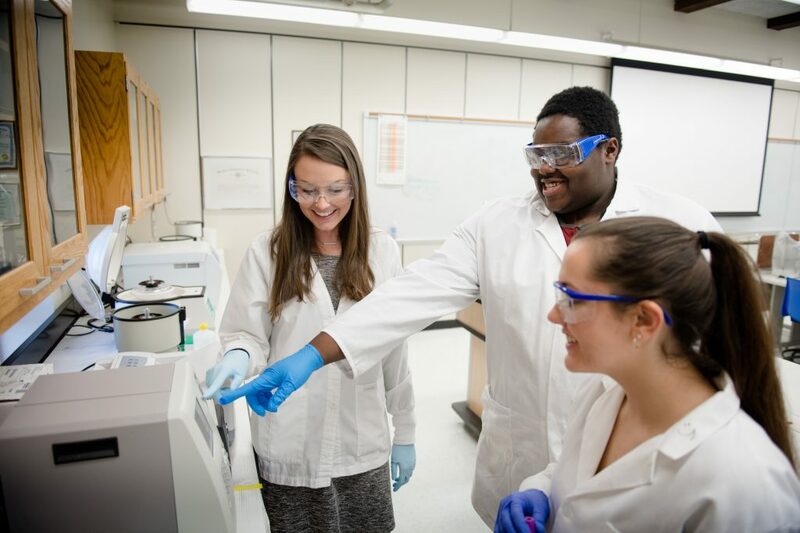 The Medical Laboratory Science program has a long history at Michigan Tech, but many high school and college students are not aware of all of the opportunities available to them in allied health. In order to continue promote careers in the medical laboratory, Kelsey Johnson (MLS Clinical Practicum Coordinator & Instructor) has joined a volunteer network though the American Society for Clinical Pathology (ASCP) as a career ambassador. The program provides free resources to accepted ambassadors to make engaging local students easy. We are excited by this new opportunity to connect and engage with future medical laboratory scientists! Kelsey Johnson demonstrating how to use an medical analyzer to students.